Put my .2 alongside the new arrival to see the differences. The .2 has full RSS Tarmac series installed so it sits low. 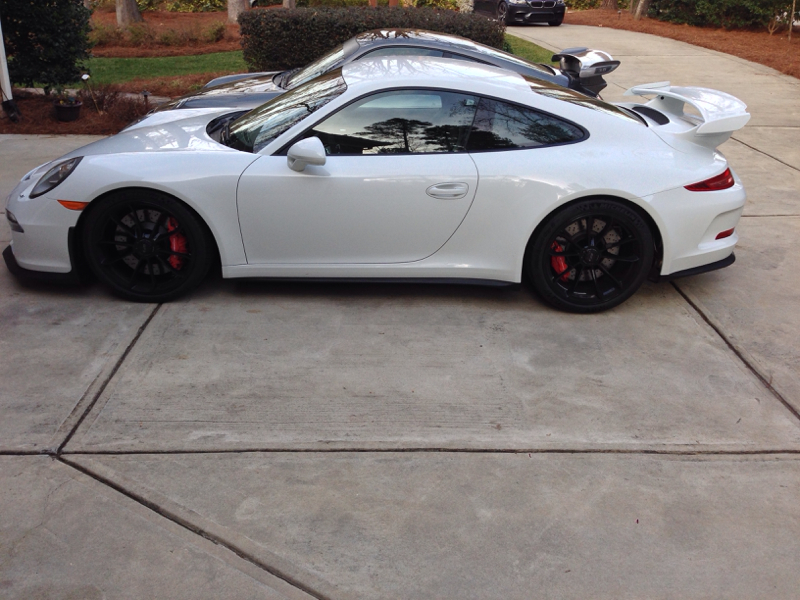 The 991 is pretty low though and I think lower than oem .2. No doubt the 991 looks slicker, windscreen angle not so upright. 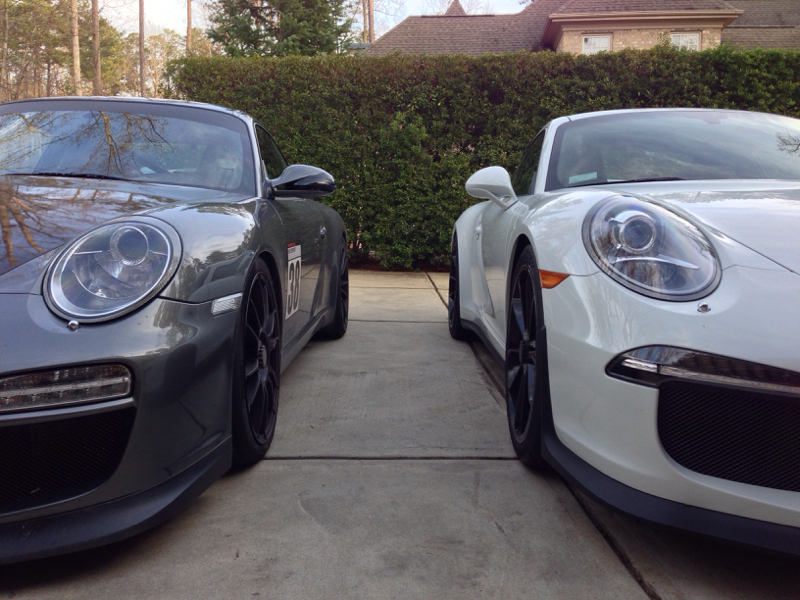 Driving the 991 it does feel you sit lower than in the .2, even with my rss setup. Thanks for taking the time to shoot these. I had a .2 and loved it. 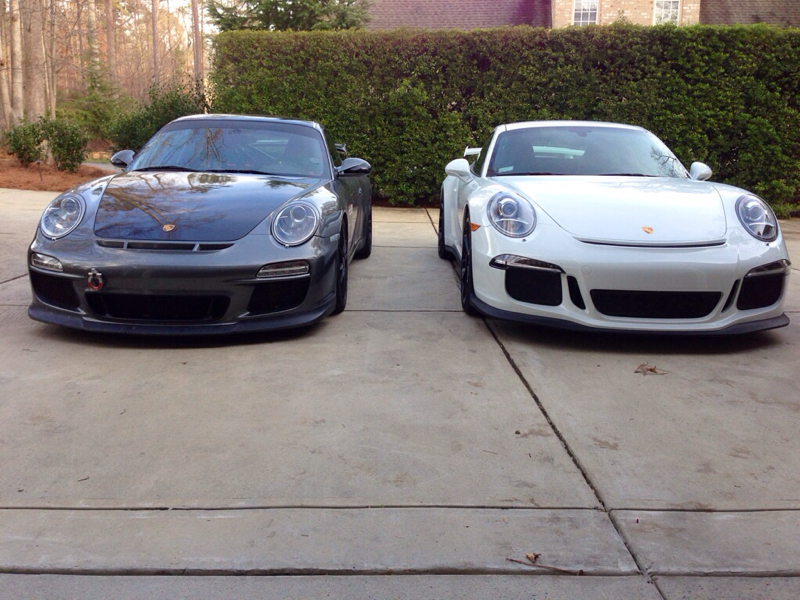 However, will say the 991 makes the .2 look a little bit dated. Cannot wait to hear your further driving impressions. I prefer every angle of the 991 over the .2; with exception for those damn rear reflectors. Really dig the door mounted mirrors as well. Interesting observation about sitting low. 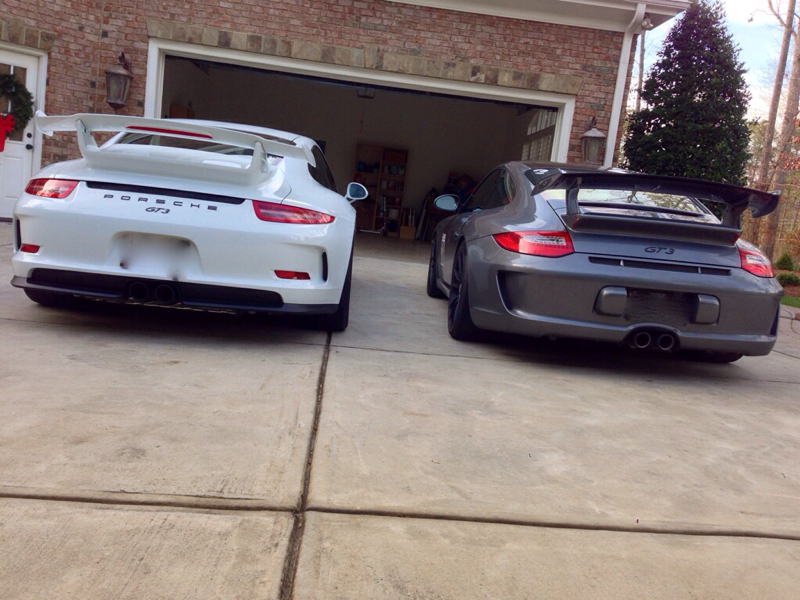 I feel the same comparing the GT3 to my 991S with PASM. I think it's only a couple of centimeters but it is perceptible. I have to say.... debates/arguments about manual stick transmission aside... from a purely looks standpoint... I think Porsche has done it again... I particularly like the look of the 991 from the front. Great pics, congrats on a gorgeous vehicle. I'm actually surprised how well the 997 holds up visually, actually! Definitely much more so than the other 997 variants c/w the 991. The lack of bumperrettes on the 991 make it look so much cleaner. Certainly a win in the design dept. Great pics. I been waiting for comparison between these two. Hope to see more from you on the differences. Good observation on windshield and Good catch Frayed on bumperret's. . its nice these things are gone. Wonder how much lower the 991? It's nice the 997 does not look dated plus its manual for those moments when you feel the need for it. Maybe the last of its kind. +1 on posting the side by side pics. Beautiful pair! The 991 looks quite a bit bigger. 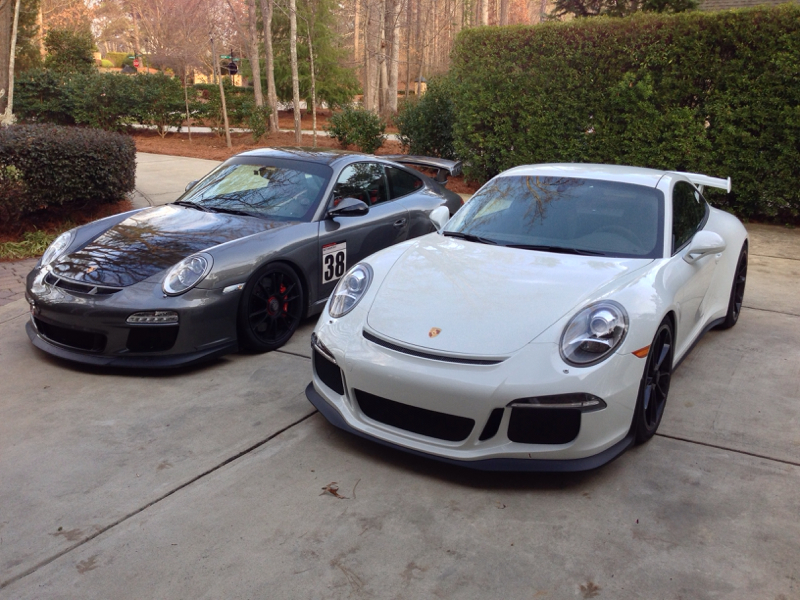 Anyone seen comparison chart/spec of 0.2 GT3 vs. 991 GT3? The 991 looks so slick...especially from the rear! ur order in on time. what size and width are wheels? is CL different than .2?